2019 SPRING SCHEDULE REVISED AS OF 04/09 9:00pm NOW POSTED. CLICK HERE FOR SCHEDULE, SCORES, AND STANDINGS. Officials are now verifying ACE Coaches Certification and Background checks at coin flips. Persons without a background check will not be allowed to remain on field or in dugout. If you do not have your card back then print your USA Homeplate screen that shows you have completed and passed. You may take a photo of printout and keep on your phone. NO EXCEPTIONS BEGINNING THURSDAY. 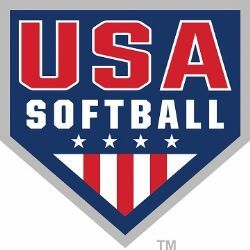 USA SOFTBALL AND SUNRISE LEAGUE NEEDS CONTRACT SOFTBALL SCOREKEEPERS. PAY IS $15.00 PER GAME, PICK YOUR OWN TIMES. WE WILL TRAIN. LEAGUE GAMES DURING THE WEEK AND TOURNAMENTS ON THE WEEKENDS. IF INTERESTED CALL OR EMAIL BILL FRANKLIN. 940 781 5863, OR dbsports@twc.com. Must be at least 15 years old . THE PITCH HIT RUN RESULTS ARE CONTAINED BELOW. ALSO ARE THE LIST OF PARTICIPANTS THAT QUALIFIED TO ADVANCE TO THE SECTIONAL IN FRISCO. INFORMATION ON THE SECTIONAL IS ALSO CONTAINED BELOW. REMEMBER THE AGES FOR THE DIVISIONS WAS BASED ON THE AGE AS OF JUL7 17, 2019. NO LEAGUE AGE OR AGE AS OF THE COMPETITION. SOME CLASSES WERE CHANGED DURING AUDIT. CONGRATULATION TO ALL THE PARTICIPANTS AND TO THE ONES THAT QUALIFIED TO ADVANCE. RULES ON ADVANCEMENT ARE CONTAINED AT https://www.mlb.com/pitch-hit-and-run/find-a-competition/get-started. Attached is revised schedule for conflicts and weather related reschedules last updated as of 4/9 as of 9:00pm. This completes all reschedules and changes to schedule. Schedule also modified to end league by 5/31 for all divisions 14 and under. THE RULES CALL FOR FANS, PLAYERS, AND COACHES TO TREAT UMPIRES, SCOREKEEPERS, LEAGUE OFFICIALS, OTHER FANS, PLAYERS & COACHES WITH PROPER SPORTSMANSHIP AT ALL TIMES. THINGS ARE GOING TO HAPPEN THAT YOU DO NOT AGREE WITH AND YOU MAY NOT LIKE SOME OF THE OTHER FANS, TEAMS AND OFFICIALS. HOWEVER WE EXPECT THAT EVERYONE WILL BE TREATED WITH PROPER SPORTSMANSHIP. FAILURE TO DO THIS MAY RESULT WITH YOU BEING REMOVED FROM THE FACILITY. COACHES OR PLAYERS THAT ARE EJECTED FROM GAMES MAY BE REQUIRED TO APPEAR BEFORE SOGS BOARD TO DETERMINE IF ANY FURTHER ACTION IS REQUIRED. FANS REMOVED FROM A GAME MAY, DEPENDING UPON THE EVENT,MAY BE REQUIRED TO APPEAR BEFORE THE SOGS BOARD TO GAIN ENTRANCE TO FACILITY. YOUTH SPORTS ARE MEANT TO TEACH SPORTSMANSHIP AND LIFE LESSONS. THIS IS NOT PROFESSIONAL SPORTS AND MISTAKES MAY BE MADE BY OFFICIALS. IT IS NEVER INTENTIONAL. 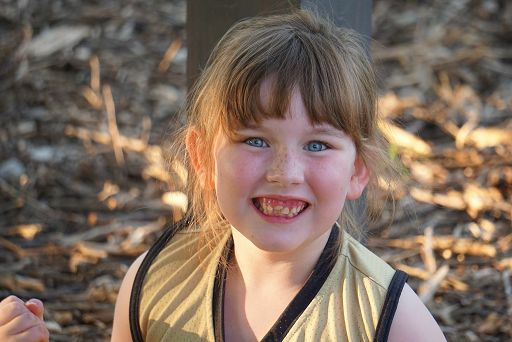 It is our policy to protect the safety of our participants , umpires , and parents at all times. We will postpone, or reschedule game if severe weather is in or will come into the Southwest part of Wichita County . We continuous monitor weather status and weather radar to determine possible severe weather that would affect us. We do not cancel games for a severe weather watch unless storms are developing that would enter our area. We have a Storm Spotter location at the Stadium at the fields and we also rely on their advice. Please rest assured we will do everything possible to keep everyone safe, however parents are the final judge of their children's safety and should do what they feel is necessary. However, we will not reschedule games unless previous conditions exist.